Oh. My. Gosh! This drink is trouble. It’s so tasty. You know the kind that tastes so good you drink it too fast and before you know it you’re wondering why the Christmas tree is smoking and in the pool. Just kidding, I recently saw that in a sit com. It does taste awesome though. I used ginger vodka in the drink. I bought it at the store but I’ve seen online that you can make it pretty easily, and quickly. If I had thought about it sooner, I would have made up a gift basket with homemade ginger vodka and the rest of the ingredients to give as a hostess gift instead of a bottle of wine when you go to your next Christmas party. 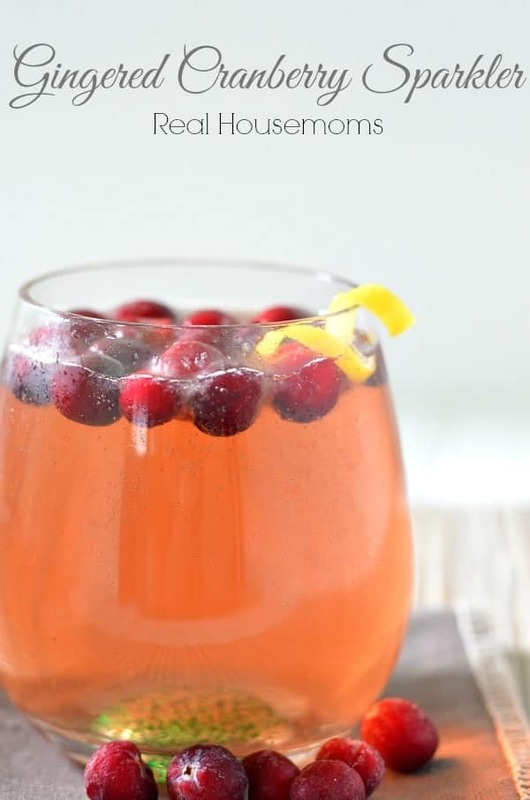 OK I’ll just give you the recipe so that you can make this drink and see how awesome it is! 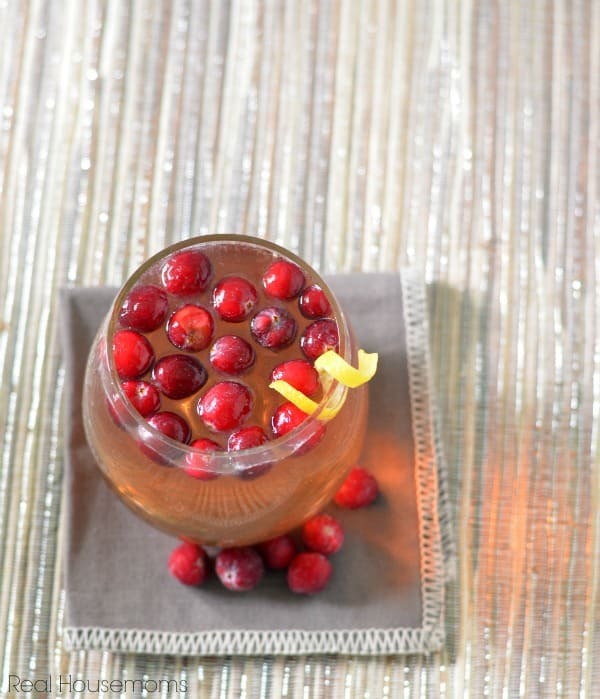 This drink combines the flavors of cranberry and ginger to make the perfect holiday drink! Please tell me how much lemon juice for this recipe. Thanks so much Looks like a real winner! It’s really to taste Peggy. I just squeezed a slice of lemon. Thanks, Going to give it a try. Can this be served right away or needs to settle like sangria?